Jayam Ravi joins the police as a sur-inspector at Mombi Kobe Police Inspector in Chennai. Perumal is the beauty of another sub-inspector in the same police station. Jayam Ravi is happily living with his father, Ponnannan, mother Srirangani, brother Suruppu, brother's wife and children. His wife, Rashi Khar, is also in love with him. The honest police, Jayam Ravi, wants to do his job correctly and not be afraid of anyone. In this case, Jayam Ravi is investigating the allegations of influence in the cases of Jayam Ravi and Jayam Ravi can not take the case to the next level. At this stage, a young woman falls off the floor and dies. Jayam Ravi, who investigated the case, did not commit suicide and Jayam Ravi discovers that some of the youths have been forced to leave the girl. He is arrested and imprisoned. But all of them are freed from the case. Jayam Ravi was beaten and killed by his family for jailing his son in jail. They also change the case as an accident. He resigned his post and vowed to cause the victims to revenge by their father. Finally, did Jayam Ravi fulfill his vow? Joined Rashi Khanna? Did he refuse? What happened in the background? That's the film's overflow. Jayam Ravi is an honest and vibrant police officer. After a single man, the film is going to throw his image on his shoulder. He has expressed his natural talent for love, affection and fighting. 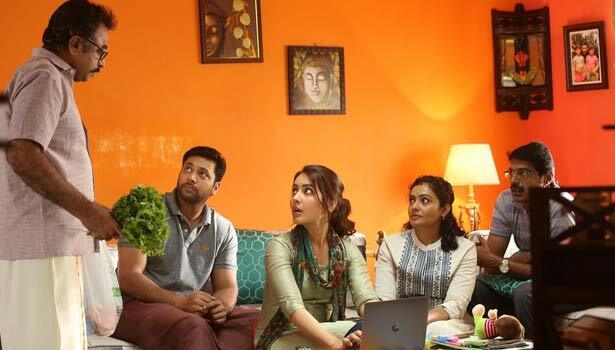 This film is a good start for Rashi Khanna. On the screen, he grabbed the audience and admires the audience. Ponnavannan, Sriranji, Suruppun, Meera Vasudevan and others are moving the story of the family. Especially the two children of Supush Pancham have acted to impress. Mimi kobi, sampath raj, munichkanth, azhagupperam police. Whatever the police officer, it must be subject to a higher authority's order. Karthik Thangavel has created the screenplay of the film by focusing on what is going to happen. Even if he wants to be an honest policeman, one day he has created an image of his emotional outbursts, refusing to repudiate, and crimes against women in society. The verses are better. Camcies. Songs are great in music. In the background music is intimidated. Sathyan Suryan has done well in the camera.